Price includes all linen, towels and cleaning. The apartment will also be supplied with basic necessities (e.g. salt & pepper, washing-up liquid, dishwasher tablets, toilet rolls etc). Our property management company also provide a range of optional extras. If you're interested in any of the packs below, you can arrange these with them after confirming your booking. Organise shared and private transfers from Geneva airport. Arrange to have your ski pass ready for you on arrival. Pre-book your equipment and get discounts with trusted local shops. Arrange lessons with ESF ski school or guiding with Chamonix Experience. Arrange baby care and nursery services, sports massage, relaxation massage and beauty treatments. 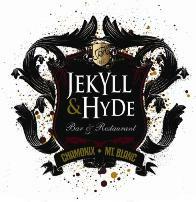 All guests will also receive a 10% discount card for food at the Jekyll & Hyde Bar/Restaurant located in Cham Sud. The Jekyll & Hyde is well known for its high quality food, good atmosphere, live bands, comedy nights and without doubt, the best steak in town!